While credit and debit cards make up the majority of consumer payments these days, there are still those who prefer to use checks, whether they are standing at a register or purchasing items online. However, the CNP (card not present) interchange rates are high, and can negatively affect the bottom line of a business. This is where an alternate form of payment may come in handy … a method that can save you money. Businesses can accept checks online with Instamerchant’s utilization of the TeleCheck® Internet Check Acceptance (ICA). This program gives customers the option of paying directly from their checking account, rather than using a card. This applies to Internet purchases, in-house store-branded gift card reloading or for outgoing recurring payments. Not only can you as a merchant accept checks, once you get an approval from TeleCheck, the funds are guaranteed and the money is deposited into your account in two business days whether the check bounces or not. With TeleCheck you pay less per transaction. In addition, you are guarded against lost sales from customers who have no credit or debit cards to use, or choose not to use them. Instamerchant’s TeleCheck helps you to eliminate the losses from accepting bad checks by tracking the history of about 98% of the check-writers across the nation. This gives merchants the ability to decide which checks to accept and which ones to decline. By taking advantage of the warranty service offered by TeleCheck, you will be automatically protected with the premier check-fraud protection feature, which means that the merchant no longer must worry about which checks to accept. This feature relieves the business owner of the responsibility of deciding which checks are good and which ones are not. 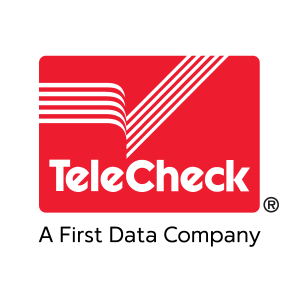 Any checks that are not good are no longer your problem; they become the liability of TeleCheck. In order to implement this priceless feature, simply connect through one of many TeleCheck certified gateway partners. The partner can assist you in getting connected with this process and ongoing operations. 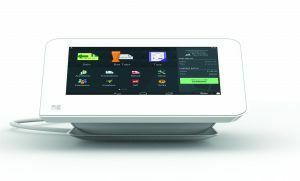 Some of the larger merchants may choose to create a direct, host-to-host connection to the acceptance service rather than going through a payment gateway. In any case, it only takes a few days to get started. A customer shopping on your website decides to make a purchase. They select the “pay by checking account” option. You either transmit the details to TeleCheck directly, or through your ecommerce gateway. Telecheck will assess the transaction and decide if there is a risk or not, and based on what they find, will issue an approval or denial on the spot. The money is placed in your account the next day by 4:00 p.m. Central Standard Time. If your establishment has a gift card program, your customers can go online and reload the prepaid card. If there are customers that are making regular, recurring payments to you, they can go onto your website to make payments. For any of your customers who don’t have any plastic cards (or choose not to use them), they will be well served when you accept checks online.